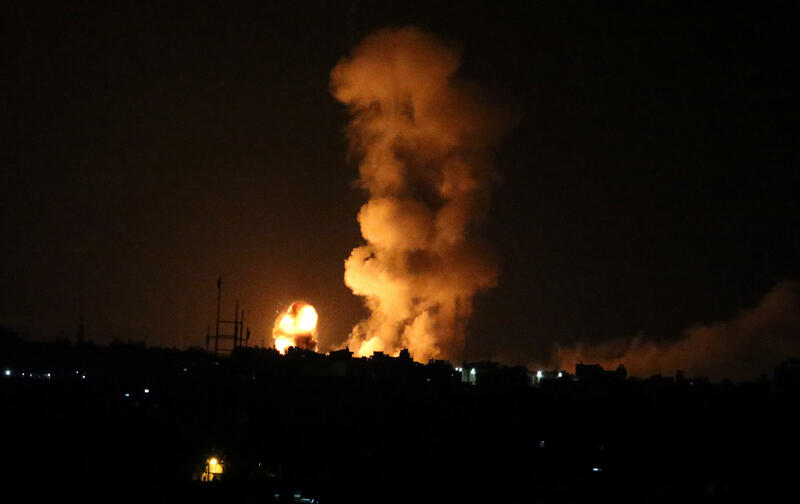 JERUSALEM -- Israel pummeled Hamas targets in Gaza killing four Palestinians, mostly Hamas operatives, on Friday in a series of airstrikes after gunmen killed an Israeli soldier near the border, officials said. The military said a "terrorist squad" fired at troops and one soldier was severely injured and later died of his wounds. He was the first Israeli military fatality in months of violence along the Gaza border.